Lily Root was born Coralia Elisa Asturias on March 28, 1921, in San Francisco. She was the second child of Elisa Goyena Peña and Roderico Asturias Toledo. Escaping impending violence in Guatemala, her parents immigrated to California with her older brother Roderico Jr., in 1920. Lily graduated from Convent of the Sacred Heart and attended UC Berkeley before working for Standard Oil. In1945, she married Chester L. Root. They had two daughters, Donna and Debbie, whom they raised in Mill Valley, CA, before moving to Portland in 1968. 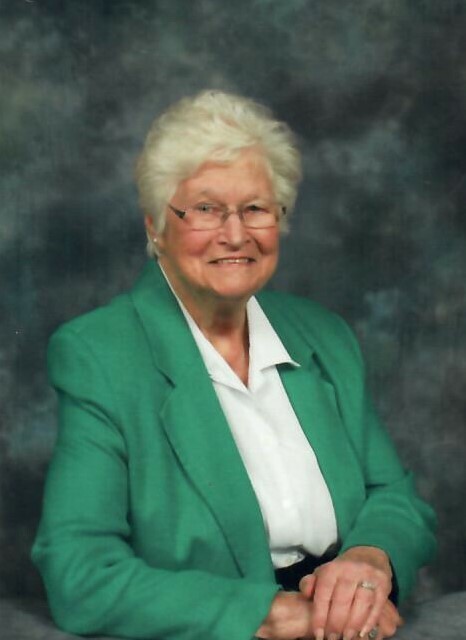 Deeply committed to helping others, Lily generously gave her time and financial support to beloved causes including Loaves and Fishes, Albertina Kerr, St. Thomas More Church, and St. Vincent’s Hospital. One of Lily’s greatest joys was giving to the charity Unbound, ensuring clothes, sundries, and education reached the children she sponsored in Guatemala. She was also actively involved with a church social group (the 49ers), the Broadmoor Guild (church service organization), and enjoyed assembling care packages through “Diversity as Gift” for the homeless. Lily's story is about love of family, lifetime friendships, commitment to helping others, and having a positive outlook. Always living life to the fullest with a fun-loving readiness to try new things, Lily learned to drive in her 40’s, swim in her 60’s, and pierced her ears with her granddaughter in her 70’s. Travel was a passion, especially where she could speak her first language, Spanish. At 97, Lily had a fulfilled, well-traveled life. She was predeceased by her husband Chet, her daughter Donna, and her brother Roderico. She is survived by her daughter Debbie McNally (Pat), her grandchildren, Kim Allen (Corey), Eelia Henderscheid (Dale), Kevin McNally, and three great-grandchildren. There will be a mass at St. Thomas More Church, 3525 SW Patton Road, Portland, at 10:30 a.m. on Saturday February 16, 2019. In case of freezing rain or snow, service information can be found at stmpdx.org. In lieu of flowers, please consider a donation to Unbound (unbound.org) or Albertina Kerr (albertinakerr.org).